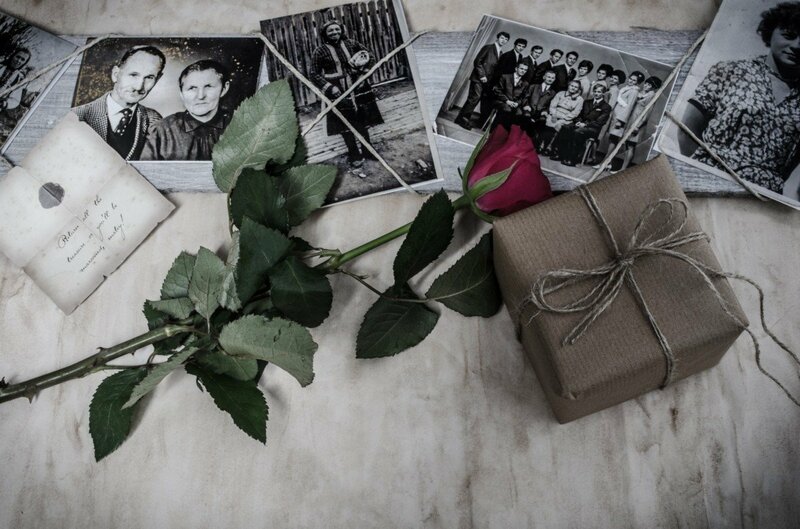 Working on your family or personal history means accumulating old photographs. Digitizing them is a great way to preserve and keep track of them. It’s also the best way to share them with other family members, and is necessary if you want to print a family history book. This might seem like a monumental task, and depending on the number of photos, it may be. Read on to learn how to break it down into manageable chunks. 1. Get organized. This can be the most challenging part, since you may also need to organize existing digital pictures, video and audio too. Organizing photos by date, event, place or person (or a combination of any of those) is a good way to organize photos. For more information, check out this blog post. 2. Prepare to scan. You can use a flatbed or your phone. Which should you use? A flatbed scanner usually produces better-looking photos, but within the last few years, phone hardware and software have made big strides. Using a scanner – even the built in one on a multi-function printer – often requires a higher level of technical proficiency…and patience. If you have a high-end phone (i.e. an iPhone (go with a 7 or higher), Samsung Galaxy (6 or higher) or Note (6 or 8), LG G6 or V30, or any Google Pixel phone. Those are examples, not a complete list.) with a good camera, there are scanning apps that do a great job of digitizing photographs. The best of these is Google PhotoScan, which is free in the App Store and Google Play. It is easy to setup and use. For most people, your phone and PhotoScan are the quickest easiest options. Make sure your photos are clean. If you notice any dust, wipe them off with a dry microfiber cloth before scanning. If you’re using a flatbed scanner, remove the pictures from any frames, glass or plastic coverings (this isn’t necessary with PhotoScan). For flatbed scanners, generally scan images at 300 DPI. (Some experts recommend 600 DPI, but this takes significantly more storage space and may only be worthwhile for printing very large photos.) This will allow you to resize and even enlarge them. If using a flatbed scanner, save time by scanning many pictures at once. Put as many pictures as will fit on the glass. You can break them out into individual files later using the scanner or photo editing software. 4. Edit if necessary. You should keep edits to a minimum, since you are trying to preserve memories. Also, every time you save a jpg image, the quality is reduced. Editing might be necessary, though, to adjust the brightness or contrast, or remove red eye. When you need to edit, the scanning software will often have those basic tools (if you’re using a flatbed scanner). If not, free tools like pixlr or PicMonkey are great for edits. Like just about everything related to family and personal history, don’t let the size of the project overwhelm you. Plan out what you want to do, then work on that consistently. Even spending 20-30 minutes a week on this, you’ll surprise yourself how much you can accomplish.